Paul Menard and the No. 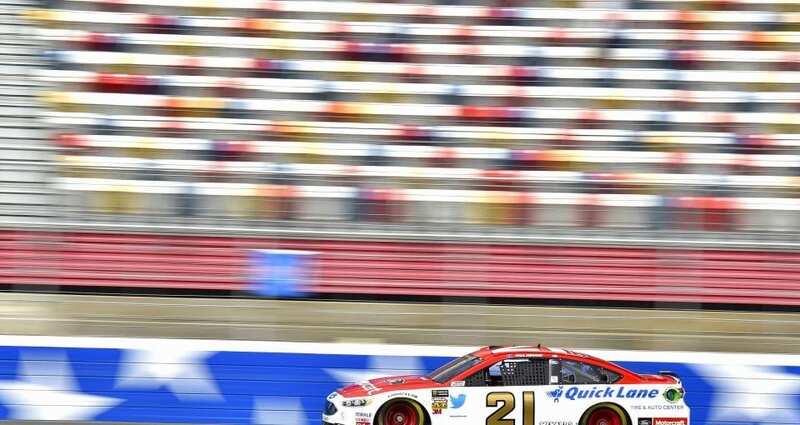 21 Motorcraft/Quick Lane team are looking to build on a solid run at Martinsville Speedway in March as the Monster Energy Cup Series returns to the home track of the Wood Brothers, who will be making their 115th start at Martinsville dating back to Glen Wood’s Cup debut in 1953. Menard finished 13th in the STP 500 at Martinsville on a cold, snowy weekend in late March and is hoping for an improvement in Sunday’s First Data 500 at the paper-clip-shaped, half-mile oval located just 30 miles east of the Woods’ home base in Stuart, Va. He said the goal at Martinsville from the start of practice is to get the Motorcraft/Quick Lane Fusion tuned for speed on NASCAR’s shortest track. Menard said that while drivers often let their tempers get the best of them amid the beating and banging that usually occurs in races at Martinsville, it’s not much different than at any other facility. Menard and the Motorcraft/Quick Lane team also are looking for a good run to ease the disappointment of a poor finish at Kansas Speedway, where Menard drove from his 18th starting position into the top five only to see his hopes of a good finish dashed by a pit-road collision. Even so, Menard saw mostly positives from Kansas. “We made some good changes after practice on Saturday,” he said. “The car drove great until the fender got torn off. Qualifying for the First Data 500 is set for Saturday at 4:05 p.m. Eastern Time, and the race is scheduled to start just after 2:30 p.m. on Sunday with TV coverage for both events on NBCSN.